Contact Studio Jear Group Fitness at (904) 733-3724 OR email us at zumbajear@yahoo.com! 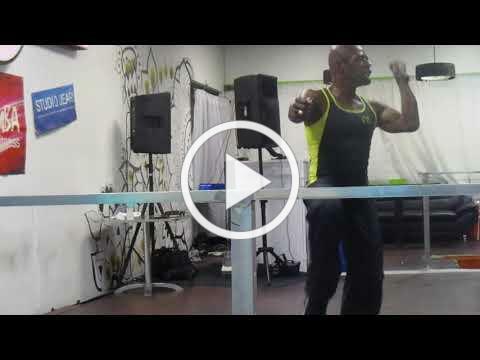 2 HOUR ZUMBA ® FITNESS JAM! Saturday, November 10th - 10am to 12pm! Thankful for another year of Fitness, Fun & RESULTS! COST: Only $12 for the BEST 2 hour workout you'll EVER have! *MONTHLY PASS HOLDERS* - Only $10.00! *Bring a first time Zumbajearian (never taken a Zumba Fitness Class with Studio Jear) with you and get in for $9! That's a $3.00 discount! Leave your towels at home - Studio Jear Group Fitness always provides towels for our clientele! ice cold, bottled water throughout the event and FREE fresh fruit at the break after the 1st hour! LET'S PACK THE HOUSE! Invite your friends, family, co-workers! FREE ice cold bottled water offered throughout the event, FREE fresh fruit at the break after the 1st hour - yes, there is a break - LOL! FREE DECEMBER 2018 MONTHLY PASS! Access to ALL of Studio Jear's Group Fitness Programs at ALL Satellite Locations! GET YOUR RAFFLE TICKETS AT RECEPTION! - pick your favorite Zumba track and your favorite instructor and do the song with that instructor on stage at the 2nd half of the Zumba Jam! One of the prize give-aways is a Butterball PREMIUM Turkey! WE'RE WORKING FOR FOOD! 2 HOUR ZUMBA FITNESS JAMS ARE LEGENDARY! YOU DON'T HAVE TO BE A DANCER! THIS IS A TOTAL BODY WORKOUT - NOT A DANCE CLASS! ZUMBA® is a fusion of Latin and International music and dance themes creating a dynamic, exciting, effective fitness system! The routines feature aerobic/fitness interval training with a combination of fast and slow rhythms that tone and sculpt the body. Zumba® utilizes the principals of fitness interval training and resistance training to maximize caloric output, fat burning and total body toning. NEW ZUMBAJEARIANS and FIRST TIMERS! ( including a FREE DECEMBER 2018 MONTHLY PASS). fresh fruit offered at the break after the 1st hour! There are ALWAYS first timers at our 2 HOUR ZUMBA JAMS - Come be part of the Studio Jear FAMILY ! and Fitness trained) with STUDIO JEAR featuring "ZUMBAJEAR"! Class will start promptly at 10:00AM! provided at break after 1st hour! Our goal is simple: We want you to want to work out, to love working out, to get hooked! The routines feature interval training sessions where fast and slow rhythms, and resistance training are combined to tone and sculpt your body while burning fat. Add some Latin flavor and international zest into the mix and you've got Zumba®!! WEAR LOOSE, COMFORTABLE CLOTHING - we're gonna make you SWEAT!